Taylor Turner, a rising-senior journalism student at the University of Texas, sees journalism as a form of public service. She discovered visual storytelling in elementary school when she learned how to use a camera and a teleprompter and how to produce a news segment. She plans to pursue a career in international news as a producer or a broadcast reporter for a news organization. 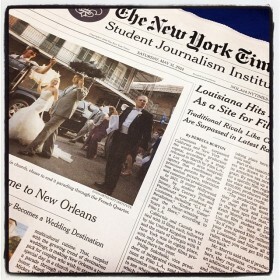 The New York Times Student Journalism Institute in New Orleans for 2014 is now concluded. We will resume in May 2015 in Tucson, Arizona. Julia Craven went to Tulane University looking for a controversy. What she found was a young custodial worker with a phenomenal story. 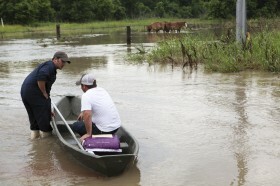 The National Weather Service of New Orleans/Baton Rouge issued a flash flood watch Wednesday afternoon remaining into effect through Thursday evening.